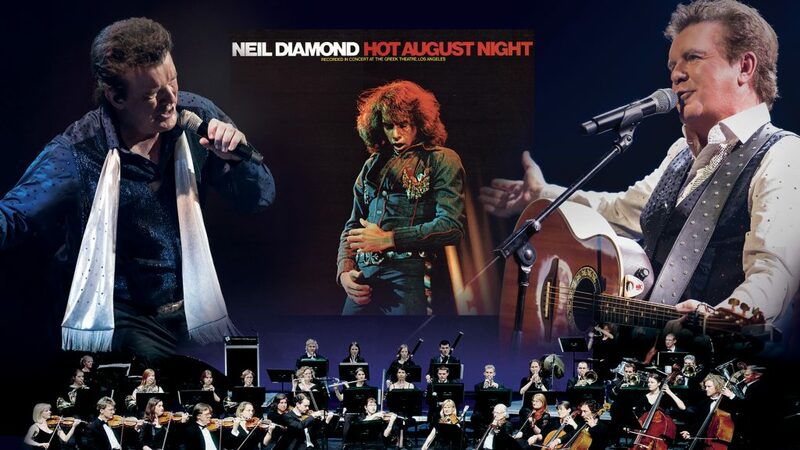 Celebrating the legendary recording “Hot August Night”, PETER BYRNE brings Neil Diamond to you together with a 30-piece symphony Orchestra. It is over 45 years since Neil Diamond stepped on stage at the Greek Theatre in Los Angeles with a symphony orchestra and recorded what is still known today as one of the greatest epic live albums of all time. Now that album will be re-created in its original format in a national tour by Peter Byrne and the Sydney International Orchestra. With a 30-piece Symphony Orchestra Peter reenacts every song from the albums as Diamond recorded it.